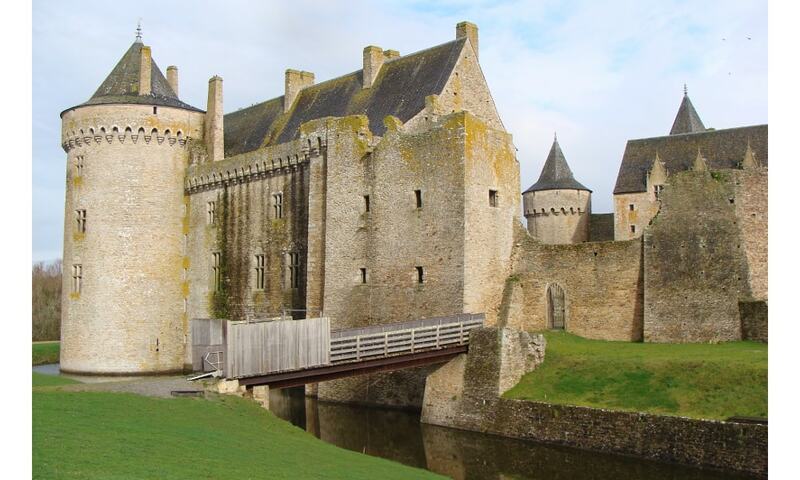 The Chateau de Suscinio or de Susinio is a French castle, built in the late Middle Ages, to be the residence of the Dukes of Brittany. It is located in the commune of Sarzeau, near the coast of the Atlantic ocean. The spectacular site comprises the moated castle, a ruined chapel, a dovecote, and a few ruined outbuildings.